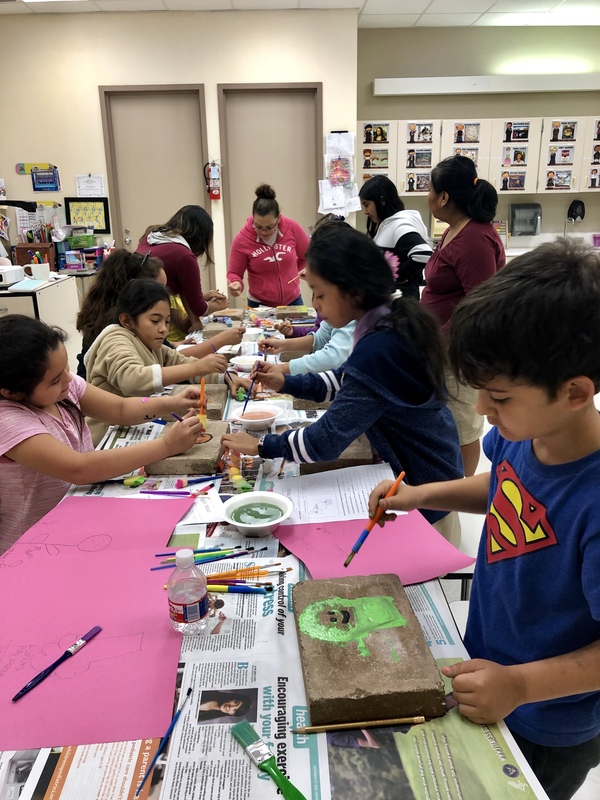 Just like any scientist, the students in Growing U at Alief gathered data and used art to demonstrate what they had learned. 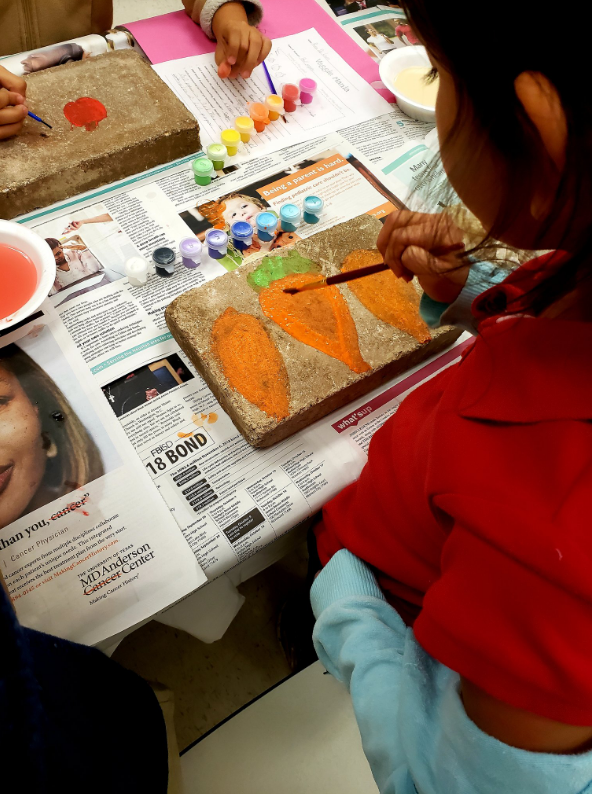 They researched nutritional benefits of vegetables to communicate messages in a fun, creative way. 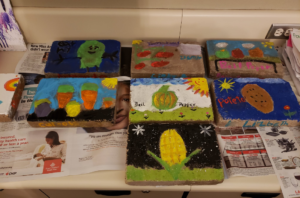 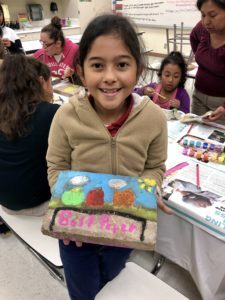 Each student created colorful art on stones that will be placed near the vegetable plants. The students not only learned about nutritional facts of vegetables, but they’ll help others learn with the creative art.